I was all of 4. We were returning from the market, my father and I. He stopped to buy some fruits. I plucked a few grapes from the vendors cart and enclosed them in my palm. Close to home, my father chose to hold me by the other hand seeing the oncoming traffic. He saw the grapes clutched therein. One look of disapproval and I was promptly marched back to the fruit vendor, made to apologize and then return the ‘now almost squashed grapes’. The fruit vendor said, “Jaane do sahib, bacchi hai” (Let it be sire, she is only a child). To which my father replied, “Isiliye abhi seekhna zaroori hai” (Hence, it is imperative that she learns now). Approximately 30 odd years since that lesson well learnt, I am now a blogger/writer. I still don’t take anything that does not belong to me (except chocolate cake kept in the fridge). I have also developed an aversion for plagiarism. Not a fan of all the copied hit songs, films or marketing campaigns either. I am reminded of this one time when Bappi Da sued hip hop performer Dr Dre, for plagiarism in his song Addictive. And then this was released as an Indian chartbuster. That he (Bappi Da) has borrowed feathers from many a bird all his life; seem to have for some reason, escaped his memory. Well, that can be said for half the trash that Bollywood produces, but will save it for another post. Well, so it goes, that as a blogging newbie, I made some awesome virtual friends. Our minds met and our thoughts had conversations galore. Hence, when a handful of them posted that their posts had been lifted, at times in entirety and passed off under the guise of another author, the ‘Durga’ in me showed up in full glory. I persecuted them plagiarists, posted, commented, mailed and informed all and sundry about their misdeeds they’d rather sweep under the carpet. Did I get a backlash? Of course, some threatening ones too, but yet, I just could not bring myself to be put on MUTE. The plagiarists had various reasons ranging from outsourced copy writers to simply being inspired by the posts. Everything, but remorse for their act. What was amazing to add, was the support that these thieves garnered. This, coming from a well read audience, who did not take the trouble to read through what was written or was being said. Fortunately, the truth needs no garnishing and can be served without any accompaniments. All was back to the way it should be, post many, many, many interactions on various web portals. And then I turned around and saw that I was the lone crusader. I’d found support along the way in the form of ‘likes’ on a post and was bestowed with accolades too. But when it came to raising a voice, I hardly had any back up vocalists. They were all there, all of them, watching from behind the sheer curtains of an offline status. But they refused to pitch in, just because it was not their fight. Neither was it mine. It never was. I just supported those, who I knew for a fact had been wronged. Why then I wonder are we worried about a mute Prime Minister, when all he did, was reflect the larger populace of the country? A school going girl was openly molested by a mob in Guwahti, people kept quiet. A 12 year old girl was raped on a Mumbai Train, people kept quiet. A model was shot dead in Delhi because she refused drinks, people kept quiet. Two youth were stabbed to death outside a restaurant, people kept quiet. The lone waiter, who tried to help, lost his job and people still kept quiet. Day in and day out, crimes big and small happen right under our noses, we continue to reap gold in silence. Why? Because it does not concern us? So, should we wait till our house catches fire or just hope that the wind doesn’t blow any embers from the neighbourhood? 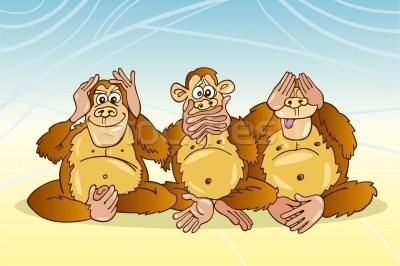 When Gandhiji endorsed the three monkeys’ ideologies of ‘see no evil, hear no evil and speak no evil’, I’m sure he was not advocating the citizenship of a nation of fools. I’ve come to the conclusion, we are not helpless; we don’t just want to help. Period. And then we expect change to come about. Who is going to wash and iron our dirty linen if we refuse to do so? Why should anyone help us when we can’t bring about to help ourselves? Why is it so darn difficult to identify black from white? Even the grays have shades that can be seen with the naked eye. We love to show our angst on social networking sites, be critical when we casually discuss, play the blame game when we face the brunt of injustice, but refuse to stand up in the need of the hour. Well, I was raised well. And I will continue to crusade. Who knows, run for President someday? I might not be perfect, though I am really close. Yet, in my own imperfect way I will never ever take a crown meant for someone else’s head. What’s the point? It won’t fit! I rather wear a crown of thorns, the way my savior did. They say, it is a designer piece and not many own it. I choose to be this way simply because, I like to follow the herd albeit, in the opposite direction. Guilty as charged. It’s time we took up cudgels on each others’ behalf. Enough of not wanting to get our hands dirty. Anna jee tum sangharsh karo, hum tumhare saath hain. Having been at receiving end of your kindness, I know how you can stand up for what’s right. I’m sorry I was missing in action for a while yesterday, but I know exactly what you mean about our ability to be silent spectators. I’ve been guilty for doing that too often in the distant past. Not any more, I hope. Thank you for being you, Vinita. Rickie, agreed not all can be leaders but that should not stop us from having a vision. Corinne, I am not being kind. I just can’t get to turn a blind eye, no matter what. Thank you for being you too. Jiyo meri sherni! Point taken. Will stand up more often. On my wall there are two bios – one an original and one a blatant plagiarism. And these are writer bios, to whom words should matter. Well! Mrids, agreed, situations are always going to be different but our innate nature can be the same …that of reacting in time! endowedwithmetis…..awwww that is such a sweet comment! I am not very good with mush…I must warn you. Besides, your daughter should be able to blog with you watching her back, with or without BG. hugs right back! A great post, Vinita and makes each one of us look inside of us. I also raise my voice and endeavor to fight what is wrong. I’ve done that in the past and will continue it in the future. I guess I am lucky in that department, I am not that great a writer or blogger that someone will want ot copy my work or use it .. 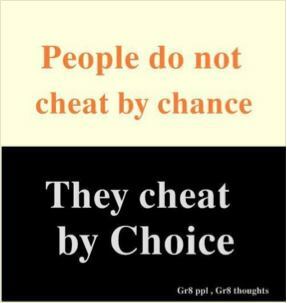 But what you say is very true , it is wrong , a few months back we found a person who was doing something like this , to cheat his way to win a lot of prizes, although I dont think he was copying material .. But still he was cheating and a few people made a big hue and cry over it on indiblogger but it was SAD to see that most of this guys friends inspite of knowing what he was doing still carried on reading and voting for him.. Anyway coming to the point yes we need to point it out for sure and if we as readers see something then it should be our duty to point it out too..
Well done to you and all the best , and next time if you find no one supporting you, you can email me and for something right I will stand with you no matter what , you can depend on that always .. There are but a few who lead. Most like to be led! There is a problem for sure. My reasoning is that an average human being is never trained to be in situation. They find themselves in one and they dont know at that point of time how to react. The modern society has killed the community system(it also lead to discriminations, another story)but today we live as individual and loneliness makes us very weak people. Psychologically we fail to gather required courage. We really need to build a modern community system to deal not just this but several other problems. I’m ready to join your plagiarism fight. That incident might be over but prepare yourself for anything in future and you may find a different end to the story. Your crusade was wonderful-here’s hoping, it makes us brave enough to follow in your steps ! Have been following the whole thread on FB and admiring you for standing up for what is just. Hope more and more of us feel as driven as you to fight for what is right and make the blog-world a safe haven and a wonderfully exciting place to be in! Seriously, we should all keep a look out for each other. If we don’t who will? I guess I am no judge !!! But I can feel people do things to the point they feel they are allowed , Some people live in this dream that they will never be caught and that’s where they fail. BG,Silence can never be golden and silence should never be the chosen response in the case of a perpetrated injustice. And clicking ‘like’ on FB is just so easy.Unfortunately, likes are not enough to set the wrongs right. This is an oft-repeated grouse against FB ‘likers’ who are not sure what else they can or are expected to do (Don’t forget, we have become a nation of arm-chair watchers ever since 1947). A suggestion, if you please. It would be a good idea to post a CTA (Call to Action) during any such incidents so the ‘liker’ knows what is the right action to be taken in such a situation. Because, sadly, everyone is not a leader. Keep the fight for truth and justice always on, BG. You just THINK you are alone, you are not. Staying silent in my opinion is rooted in fear. I have one neice who stopped a bullying episode at her school while an entire team of boys had stood back and watched a boy being beat. she stepped up and took on the boys who were doing the hitting. she was 17. Another niece helped an elderly woman who had fallen in the street while the adults simply drove around her. In this nation as well we are a people who don’t want to be involved. You fought the battle and won it for the bloggers.. When I saw you mention it on facebook, I assumed the author is going to apologize and take it off, had no idea so much of fuss would be needed bring out the results. I am glad you had enough artillery to hold till the end… Congratulations. Vasu, Bravery begins with a decision of standing for the right, today! AJ, if one MAN could change the face of the world, aren’t we also in his image and likeness expected to follow suit? Rahul, good or bad, everything has a shelf life. Sooner or later, the end is near! Bikramjit, don’t wait for my invitation. Keep your eyes open. Trust me, you will find loads of these tribe. Soniaji, many a times you go by gut. the biggest problem in the blogging world is everyone want to be read….but no one READS. Every one will take the opportunity to plug a post they have written on the said topic, but won’t pitch in to set things straight. Richa, to be able to self introspect and admit to our short comings is a great gift. Half your battle is won already. Thank you for your support, I know you mean well. Farila, the saddest part is the person in question could have ensured none of this happened. But going through various posts on her blog, this was not the only one that has been inspired*. I found at least 3 other posts that had been picked from other sources. Four times cannot be a coincidence or an unintentional error. Anuradha KP I am glad there are people who still think this way. The sympathy vote that the lady kept getting was just beyond me! Subho, you could not have written it any better. So then again, we are to be blamed right. If we don’t respect the framework and strive to protect it, why blame external forces that take undue advantage of an opportunity they see? Akanksha, thank you for being one of the few on the discussion thread yesterday. Glad you liked my blog. Keep visiting. Punit, as per all the evidences, you did see I had conducted a thorough research before launching any discussions. I am glad you saw where I was coming from. I was a mute bystander too…as Purba said, I am guilty as charged too. Now, you have an army. Hats off to you Vinita. BlogwatiG… this is a dil ko choo lene waala post! A strong point made very well! Something that made me feel, “I am not a mute watcher but how come i missed supporting this cause?” Or did I hit Like? I fail to remember and blame it on fibfog 😉 Maybe it was the innumerable updates from everyone that over occupied my News feed or maybe it was my comparatively decreased presence on FB in the last week. How I have wrote stinkers to people who just copied all my efforts on the mumbai local blog without even a single credit mention. I am with all of those who stand against plagiarism. Do lemme know when you wanna teach a lesson to a copy-cat. I’ll do my very best! two separate things were going on in my head as i was reading this post. one was – of course, that is why we are in this mess, because people will not stand up and raise their voice. the other was – who wants to get into trouble. the reason for this second voice is the perception that ‘whistleblowers’ are a minority and end up facing more persecution than anything else. going by the recent episode, it is obvious that there are enough people who think otherwise. there are enough of us who are outraged by things around us. we saw that with the anna movement, we saw that with the jessica trial, and we saw that with the recent contest entry. yet, there is something that has so far prevented these emotions from making far reaching changes to the system. i believe that is sustained vigilance, and your post will go a long way to make us all think about it, and who knows, maybe even act. as far as i am concerned, i still need to grow and change as a person to come up to a point where i can consistently think and act like you. thanks for being an inspiration. People here chose to stay mute. That is a choice they have learnt,by seeing what happens to the people who speak up. The fittest here, is the one who knows how to ignore everything around him and just carry on with his/her own life. We’re a nation of cowards, and our foundation is utterly wrong. We have been taught to remain mute to everything, else, it will cause us harm. The foundation is incorrect and it is high time we all do something about it. Nice to hear about your childhood upbringing. I can relate to i. It is so unfortunate that people lift others ideas and make it their own. Many people will not come forward and support you in the open because they fear others will attack them. Most of the people want to avoid conflict at any cost. Unfortunate, but true. Amazing post, and hats off to your dad! Our people’s heads are too full of apathy. The choose to ignore. The story of the Bangalore girl who was molested and thrown off a moving train full of passengers who refused to help her just shows what a nation of cowards we are. After reading this and going through the entire thread on FB,yahaan toh sorry bolna bhi gunaah hai.I am late as always..
BG you are rare,and your grit makes you specal.Margins koi kiti bhi laal kar le,Title toh Title hi rahegaa,BOLD or UNDERLINED! !